How many times have you gone out of your way to spend a week with a stranger in the middle of nowhere? We can’t say that we do very often, but after our first week in the hectic city of Marrakech, we were ready for some peace and quiet in the High Atlas Mountains of Morocco. Peace and quiet were exactly what we got when we took a 2 hour long “grand” taxi ride crammed with 5 other people to Berber Cultural Center. Before I get into it, I put grand in quotations because these taxis are nowhere near luxurious, and instead of a ride where we were got closer to the Moroccan locals than ever been before. However, for 50 Dirham (about $5) I really can’t complain about being squashed like sardines into a 1970’s sedan. When in Morocco, right! 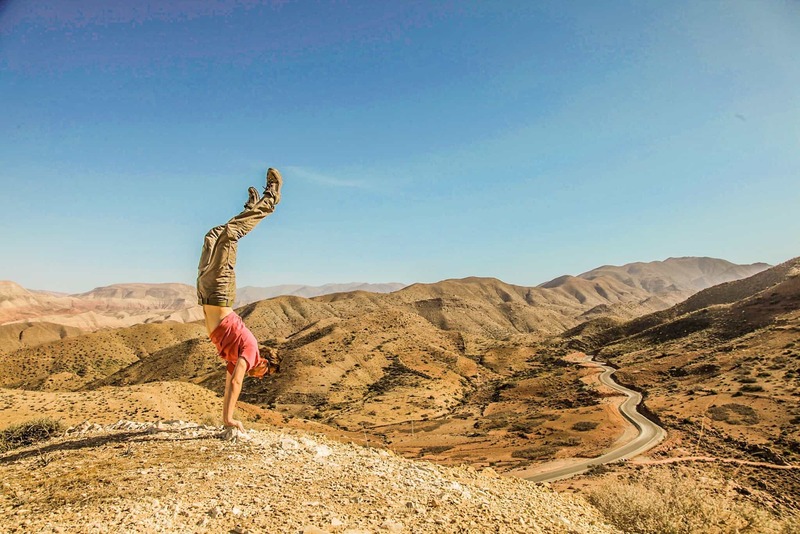 We are dropped off in the city of Imintanout in the High Atlas Mountains of Morocco. Imintanout is virtually untouched by tourism, and we were left standing in the middle of it with hundreds of locals staring at, the only outsider for miles. They know we’re outsiders, we knew we were outsiders. So there we are, awkward Americans in rural Morocco wondering what in the world to do next. 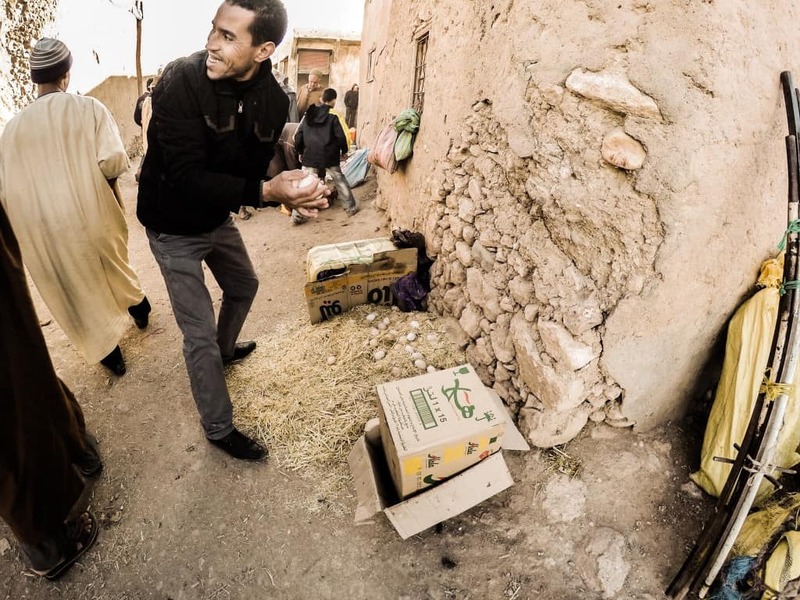 Then a lovely man named Mohamed and his family appear with a smile, and he transferred us to the Berber Cultural Center in the small and ever more rural village called Boulaaouane. With very few expectations, we enter the beautiful Berber Cultural Center to begin our week as a Berber. To begin the Berber Cultural Center is beautiful, spacious, and completely secluded. There are tables and chairs everywhere to engage with everyone, a massive kitchen, and a comfortable living room, and an enclosed backyard to watch the sun go down and dwell under starry nights. 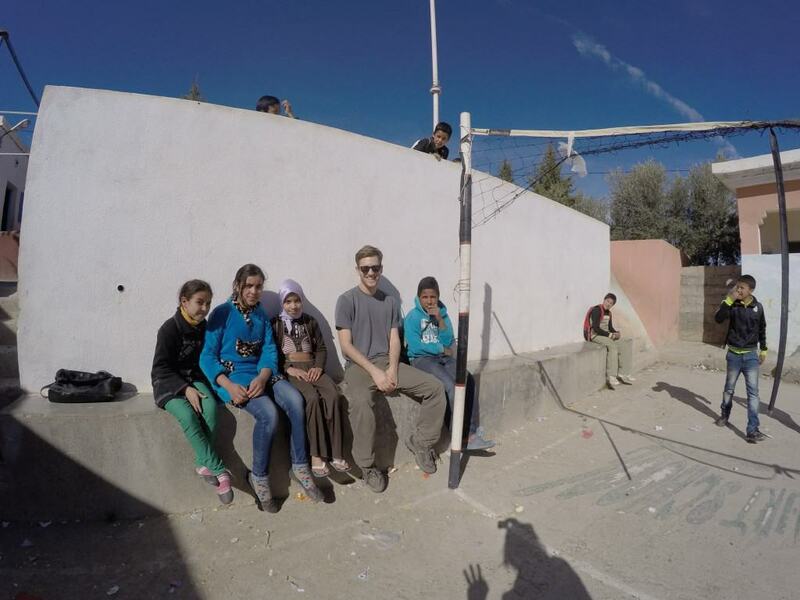 From the first day we arrived to all the way through the week we were immersed in true Berber Culture. Never once did I feel like a tourist like in Marrakech or other cities. We were treated as equals and lived among the other villagers partaking in their daily lives. Our first full day there we learned that tagine is your basic lunch meal every day. However, tagine is not basic, and it is certainly not something that North Americans would think to have for lunch. Tajine is similar to a classic stew – it takes hours to prepare properly and is usually a blend of meats and vegetables. It is always served in a Moroccan style pot that is actually called a Tajine. 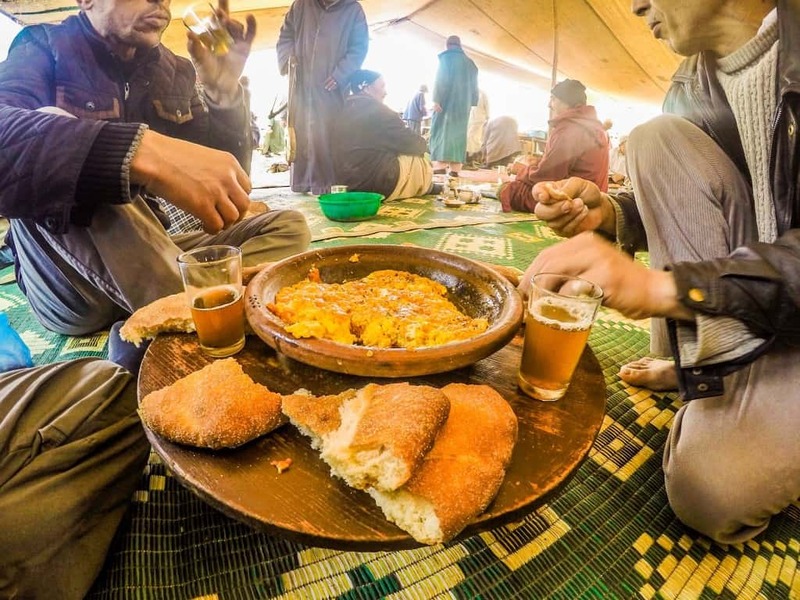 We were able to prepare the bread and Tajine from scratch with Mohamed’s Aunt and Uncle – which was great fun but certainly not our specialty! Two hours and some oven baking later we had our tajine, and it was a masterpiece. The rest of the day was spent away from civilization and mingling with the Berbers in bliss. The next day we awoke with the sun to go to the weekly market. 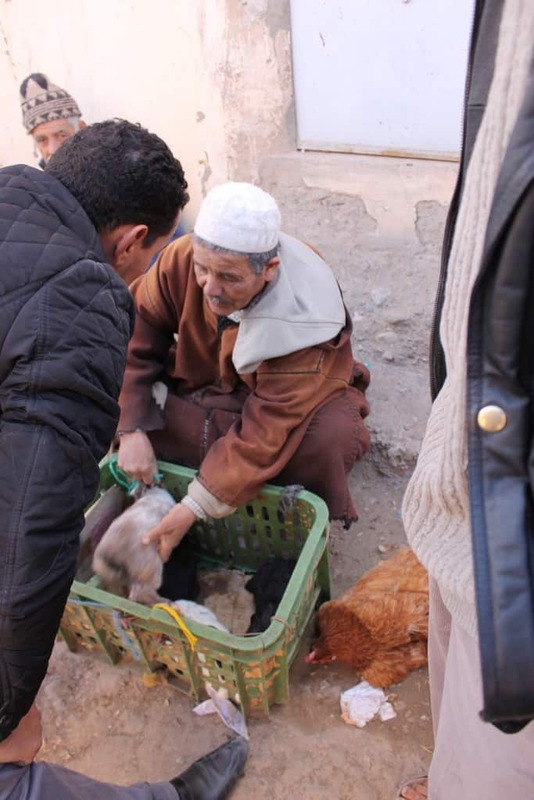 Berbers don’t go to grocery stores or supermarket, but instead, they spend Mondays and Wednesdays amongst their neighbors and barter it out for their weekly meats, vegetables, carpets, donkeys, and spices. 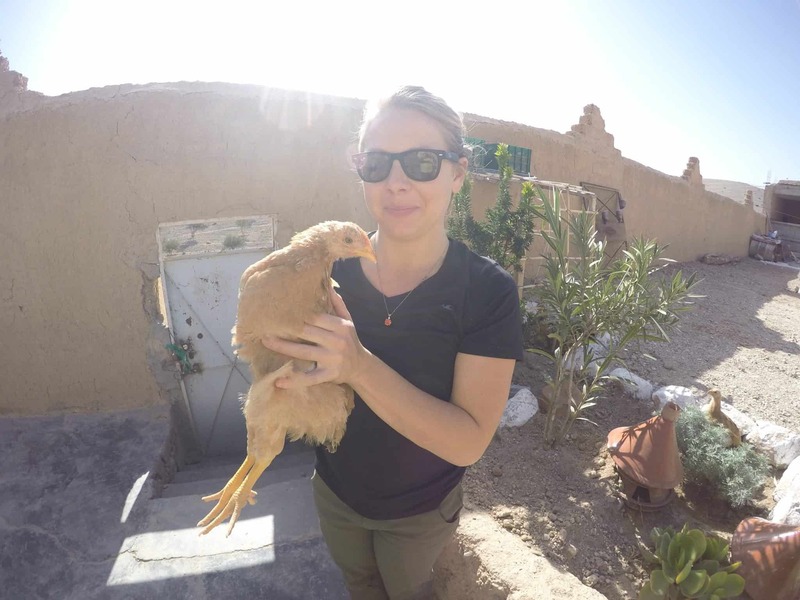 We were able to pick out our eggs and vegetables with Berber locals; otherwise we would have been completely lost. Soon after we were sitting with our mint tea while the Berber men cooked up the best omelet I’ve ever had. The next stop was to pick out a rabbit. No, not for a pet, but for lunch later. I had never eaten rabbit, and I really don’t fancy eating it either. However, our Berber family prefers eating it once a week. Instead of getting it at the local supermarket, they pick it out of an old man’s magic bunny box in the market. What I’m about to say could upset some animal lovers out there (and I am an animal lover too). But the rabbit that I was just petting we soon had to kill. We sat and watched the men slaughter the rabbit the halal way. Halal is the permissible way to slaughter an animal under Islamic Sharia Law, and ultimately limits the amount of pain endured. This was the part of the day that I knew I would not like, but I felt it was important to see because 1: it is how the Berbers (and a lot of the world) prepare their food, and 2: Not all meat is neatly packaged with plastic wrap at the grocery store for consumers precious eyeballs, and it’s important for us Westerners to realize that. This is where meat comes from. So in a couple swift knife swipes the rabbit was dead and was soon being prepared for our daily tajine. (Note: The verdict is I do not like the taste of rabbit, very game-y). 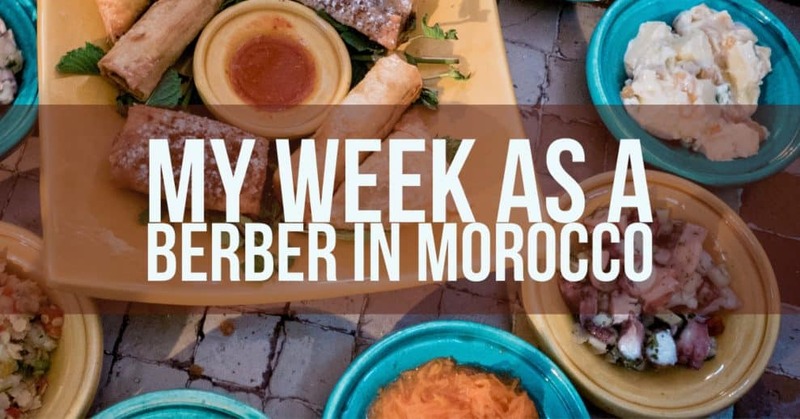 The rest of our week at the Berber Cultural Center was filled with a lot more cooking, mint tea times, and reading the days away. One day we were able to visit one of the village’s sixth-grade schools to play volleyball and interact with the children. Another highlight was spending our last day hiking and picnicking through the beautiful High Atlas Mountains. The Atlas Mountains are beautiful and almost untouched, but thank god we were there in January as hiking in the summertime would have been unbearably hot! One of the local men even let me ride his donkey back to town! 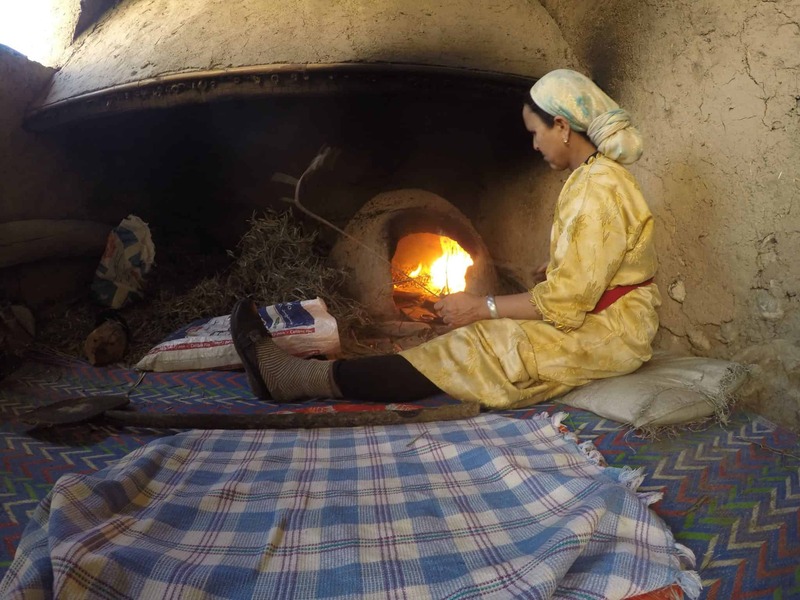 Life at the Berber Cultural Center and among the villagers is a very simple life. Many of days revolve around food – which I am certainly not complaining about! Coming to Mohamed’s beautiful center let us experience Berber life first hand and has been a highlight of our trip to Morocco! 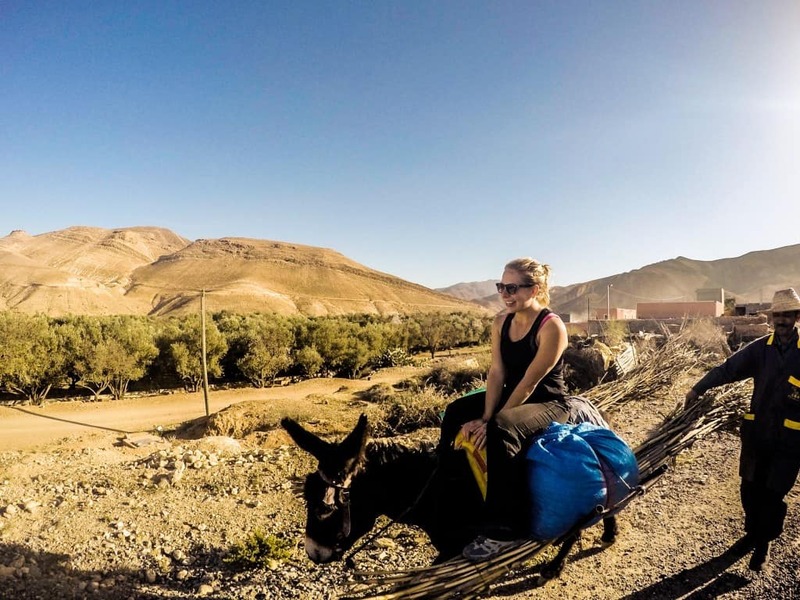 Accommodation in Morocco: We like to use Hotelscombined to compare various booking engines and make sure we are getting the best possible deal. To feel more at home in Morocco we use Airbnb. Here is a coupon for your first stay! Here are the most popular destinations in Morocco: Marrakesh, Fés, Essaouira, Tangier, and Chefchaouen . Car Rental in Morocco: Auto Europe is a car rental booking service that compares all the major brands like Hertz, Avis, Alamo, and Europcar. I was able to contact the Berber Cultural Center located in the High Atlas Mountains via Workaway. For a very small fee, we were provided with all accommodation, activities, and food. I am not affiliated with the Berber Cultural Center.